A fabulous new take on our Pruden and Smith classic princess cut diamond twist engagement ring: the addition of channel set diamond sides. 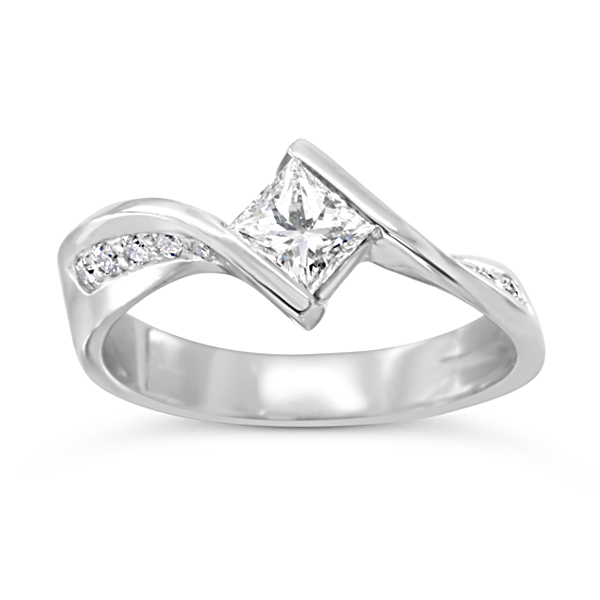 The channel set flat twist engagement ring is the latest development in our signature range of engagement rings. We think you’ll agree this is a great addition. 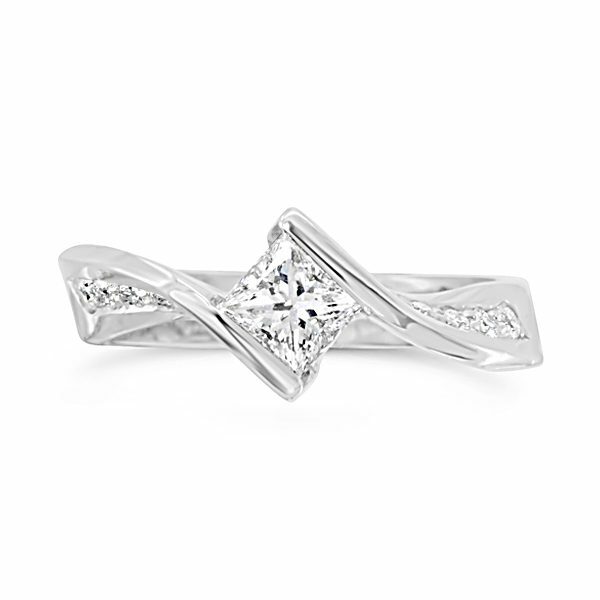 Handmade in platinum this free form ring twists to grip the 0.6ct carat princess cut diamond centerpiece. Matching fitted wedding band available.